A lot of people actually unaware of the benefits of guava. 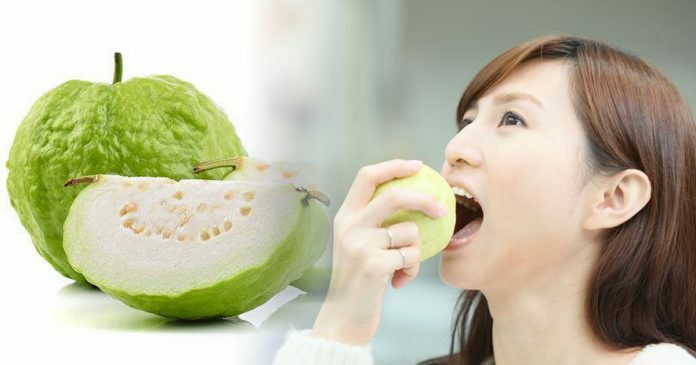 With its fresh aroma and delicious taste, guava can be eaten raw, made into juice and even turned into dried guava snack. Believe to have four times higher Vitamin C content than orange and high water content, eating guava can help moisturize skin and stimulates the production of collagen and elastin—helps keep our skin firm, elastic and younger. Astringent properties in unripe guava and guava leaves improve skin texture, protect it from the sun’s ultraviolet rays and prevent the appearance of acne and pimples. You can also rinse your skin with a concoction made of immature fruit and leaves. Red guava particularly contains strong antioxidant properties so it is advisable to consume guava daily to improve healthy skin. 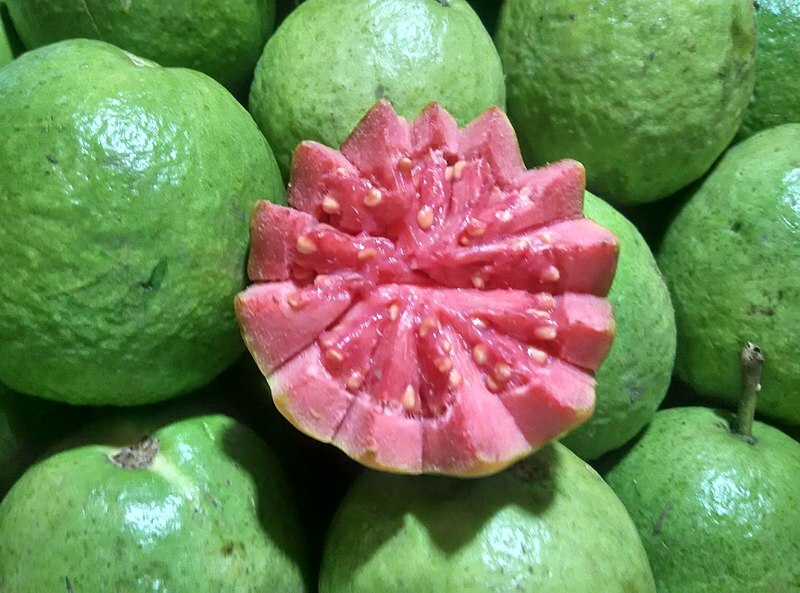 Guava is a good source of copper, which is important for thyroid health—one of the most important glands in the body for regulating hormones and organ system function. Copper helps to control hormone production and absorption, hence regular intake of guava can reduce emotional anxiety and enhance positive emotion. 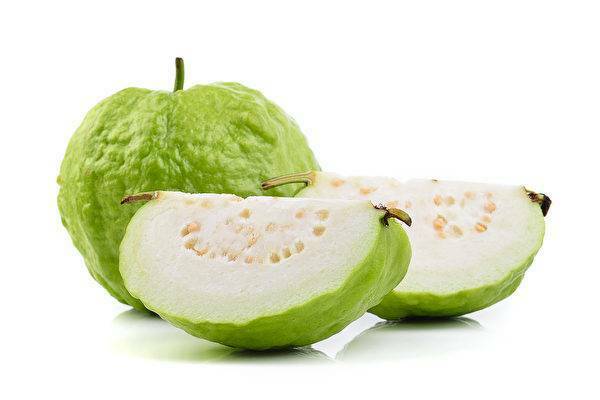 Rich in Vitamin C, Vitamins B3, Vitamin B6, and other powerful antioxidants, guava stimulates cognitive functions, sharpens our focus, helps nourish the brain and mental functioning, and improves blood circulation to the brain. Pottasium in guava helps maintain the electrical conductivity of the brain, which is important for improving thinking and recall capacity. Rich in Vitamin A, folic acid, potassium, copper, manganese, fiber, flavonoid, and other phytochemicals, guava is beneficial for healthy hair growth and maintenance—helps to make hair grow faster! Also high in Vitamin C, guava promotes healthy hair growth and helps to combat hair loss problems. With high levels of Vitamin A, guava is essential for good eyesight as it can help to maintain healthy and clear cornea, protecting the cells in our eyes. Meanwhile, Vitamin C in guava promotes healthy capillaries and maintains proper functioning of retinal cells. Vitamin A can also help to slow down the development of vision problems such as cataracts, macular degeneration, night blindness. Regular intake of guava will help to improve your eyesight. Guava is rich in magnesium which acts as nerves relaxant—helps to relax the muscles and nerves of the body. Vitamin B6 in guava is pyridoxine, which is good to keep your nerves relaxed. 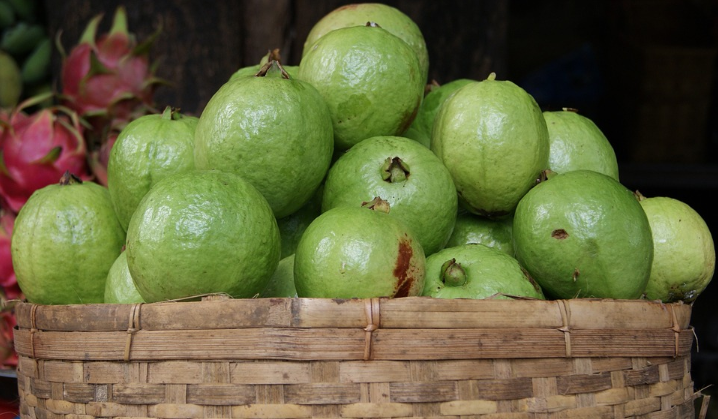 Guava can also help to boost the immune system, strengthen bones of the body, and decreases fatigue. Guava is rich in fiber and fiber is important for lowering blood sugar levels, good for cleansing the digestive system and maintaining free bowel movement. Guava leaves tea is actually a common cure for diarrhea—will cause fewer watery stools and decrease abdominal pain, help a quicker recovery. The antibacterial effects of guava fruits also aid the cleaning of the digestive tract, impeding microbial and bacterial growth. Thanks to its high fiber and potassium content, guava can also help in weight loss, increasing muscle mass and burning more fat. Can’t believe there are so many benefits we’re unaware of! 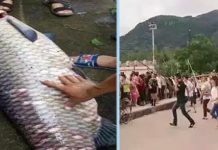 Previous article26yo man revives dozens of dead lakes in India. 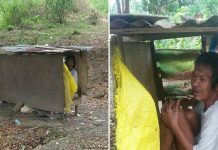 He goes house to house to plea villagers to join in his determined efforts.